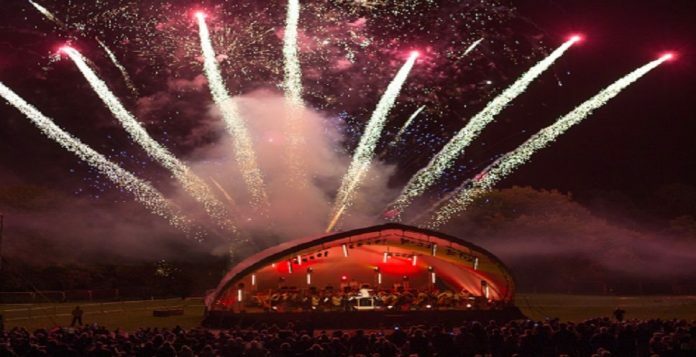 More local businesses have joined forces to work with Derby City Council and secure the return of this year’s Hannells Darley Park outdoor classical music concert, which will be held on Sunday September 2nd. Headline sponsor Hannells Estate Agents alongside HUUB, Mortgage Advice Bureau, PKF Cooper Parry, Flint Bishop solicitors and Stratstone BMW Derby enabled the City Council to bring the much-loved concert back to the city last year. These companies have again pledged their support for the concert this year and have been joined by Redrow Homes and Invictus Communications. The expanded corporate sponsorship will bring some exciting new features to boost the enjoyment for the thousands of people from across Derby and beyond who come together to enjoy an evening of live music and the spectacular closing fireworks show. Two billboard-size screens will be elevated either side of the stage to give the crowds close up shots of the performers on stage as well as scanning the crowds. The screens will also feature a live twitter feed and birthday announcements throughout the afternoon and evening – enabling everyone to join in the conversation. Sinfonia Viva, the East Midlands’ only professional orchestra based in Derby and supported by Rolls-Royce plc will play at the concert with pieces inspired by the theme will be Peace, Hope and Reconciliation – ahead of the 100thanniversary of the end of the First World War. Michael Brain, Managing Director of Hannells, said: “We and the fellow local businesses who support the Hannells Darley Park Concert feel passionately about the importance of bringing local communities together to enjoy cultural and leisure events. “We were immensely proud to bring the concert back to Darley Park last year and the public agreed – with around 15,000 people coming to Darley Park for a fantastic evening’s entertainment. “We were keen to add some extra elements to the event this year and the giant screens will give even those sitting high up on the hill able to see the performers on stage. The Hannells Darley Park Concert will take place at Darley Park on Sunday 2 September from 6pm, with gates open from 2pm. Tickets bought before 31 Jul 2018 are priced, Standard £3.50 and Under 16s FREE with a ticket. Tickets bought from 1 Aug – day before the concert are priced, Standard £5, Under 16s £2.50. Tickets bought on the day of the concert are priced, Standard £7.50, Under 16s £2.50. Tickets can be purchased from 01332 255800, online at derbylive.co.uk, or be booked in person at the Sales and Information Centre, Assembly Rooms, Market Place, Derby.